The Federal Transit Administration noted on July 25 that four more states – Arkansas, Louisiana, Texas and Wisconsin – have achieved federal certification of their rail transit State Safety Oversight (SSO) programs. With these four most recent certifications, 21 of 30 states and the 31 SSO programs covered by this rule are now in compliance, the agency said. The FTA reiterated in a statement that federal law requires states with rail transit systems to obtain federal certification of their SSO programs by April 15, 2019 – a deadline that cannot be waived or extended. And if a state fails to obtain certification for its SSO program by the deadline FTA stressed that “it is prohibited by transportation law from obligating any funds” to all public transportation agencies throughout that state until certification is achieved. The Arkansas Department of Transportation: it oversees the Rock Region METRO streetcar system. 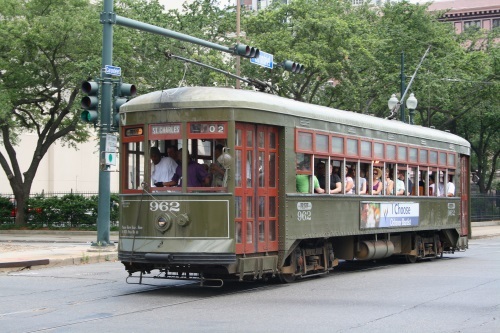 The Louisiana Department of Transportation: it is in charge of the New Orleans Regional Transit Authority streetcar system. The Texas Department of Transportation: it manages the Dallas Area Rapid Transit and Houston METRO light rail systems, the City of Dallas and City of El Paso streetcar systems, and the City of Galveston and McKinney Avenue Transit Authority trolley systems. The Wisconsin Department of Transportation: it handles the City of Milwaukee and Kenosha Area Transit streetcar systems. As a reminder, to achieve certification, FTA said an SSO Program must meet several federal statutory requirements, including establishing an SSO agency that is financially and legally independent from the rail transit agencies it oversees. In addition, a state must ensure that its SSO agency adopts and enforces relevant federal and state safety laws, has investigatory authority, and has appropriate financial and human resources who are “properly trained” for the number, size and complexity of the rail transit systems within the state’s jurisdiction.